Note: The article, including any opinions and conclusions expressed herein, are those of the author alone and do not in any way reflect those of his employer. The owner/operator and stakeholders of any engineering asset should make sure that effective asset integrity management (AIM) is embedded into the organization’s objectives and it is implemented effectively and efficiently throughout the lifecycle of the engineering asset. As illustrated in Figure 1, AIM has different levels of contribution in each stage of the asset lifecycle as discussed in my last article, “The Role of AIM in an Asset’s Lifecycle, published in the May/June 2017 issue of Inspectioneering Journal. It is a dynamic process, with interconnected correlations between integrity management and the lifecycle of any asset. 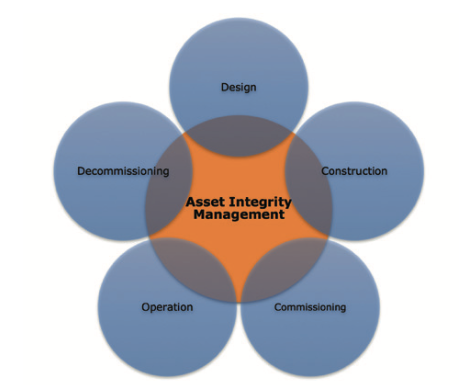 The goal of achieving effective asset integrity management throughout an asset’s lifecycle requires a set of tools to deliver this vision. These tools are the integrity enablers which can significantly impact the effectiveness and efficiency of asset integrity. There are various tools and methods to implement this vision. For example, the United Kingdom Offshore Operators Association (UKOOA) recommends that organizations with engineering assets develop a tailored set of integrity enablers for each asset to ensure effective asset integrity, enhanced reliability, and asset availability, and assure compliance with the HSE requirements for safe operation of risk-related assets as demonstrated in Figure 2. Figure 2. 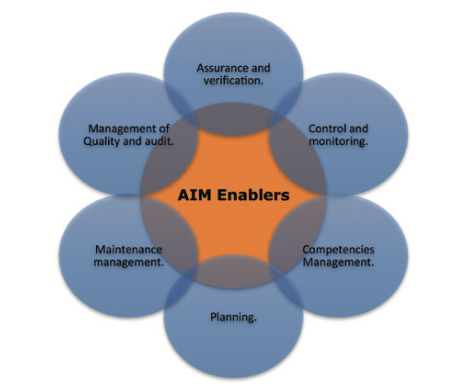 Enablers of Asset Integrity Management.